As per Aug 12, 2013, the bull run been generated 105% of return. 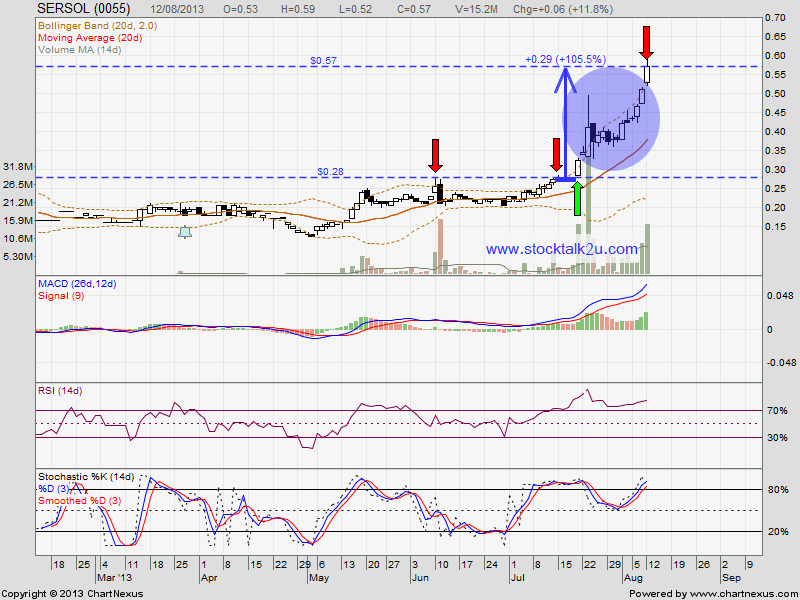 Subsequent support @ MA50 which is around RM0.28 level. 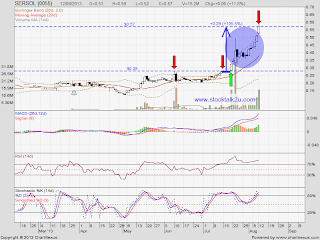 Due to extremely overbought, correction & consolidate will be take place soon.